We're a team of friendly and professional plumbers covering all your plumbing needs. With an excellent reputation and competitive prices, it's no surprise we have many satisfied customers in the area. 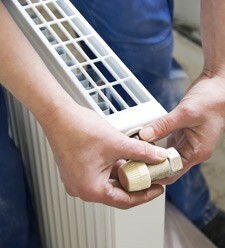 Take care of your property by using the best plumber for all of your repairs and installations - you won't regret it. With a full range of plumbing services and fully qualified plumbers, you're in the best possible hands. Whatever you need a plumber for, pick up the phone and call now. We provide emergency plumbing services throughout Kingswood and Hanham 24 hours every day, and all plumbers are Gas Safe registered for your peace of mind and safety along with adhering to legal compliance legislation. Like a free estimate on your plumbing work? Then call 0117 345 9036 for a quotation. We're looking forward to helping you.